Do Some Activists Blame Instead of Taking Action? I agree with the Occupy Wall Street movement. So much is dreadfully wrong with our country, what else can we do but take to the streets? One of my friends has a problem with Occupy, however. First, he says the word is aggressive. I see what he means: occupying is a hostile concept. We are angry and want to fight back, but perhaps throwing anger around is counter-productive to achieving the changes we want – for several reasons. Is it time to cool down and concentrate on our priorities and developing strategies for action? Second, my friend doesn’t like the way the movement demonizes the 1%. They’re all kinds of people, some good, some not so good he says. Some are philanthropists who share their wealth and do other good deeds. So while we don’t like the imbalance, we are condemning individuals for their financial status without knowing how they got there, what their attitudes are, whether they’re generous or greedy, or what. We’re essentially calling people names instead of accentuating our determination to replace bad policies and bad laws with sound ones. When we rail against the 1%, we may not mean to, but by our language we’re demonizing a group instead of criticizing a practice or economic and social policies. 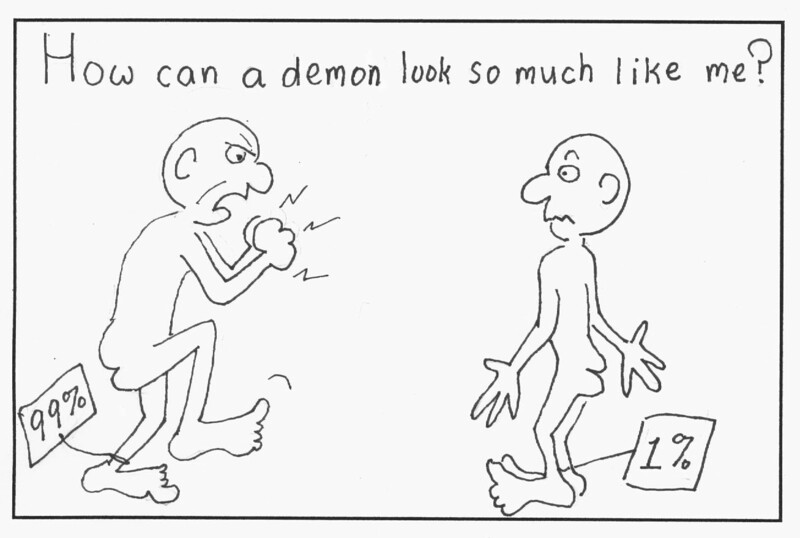 Demonizing is a propensity we’re born with. Greedy and people demonize when they steal. Politicians demonize when they lie. We demonize the competition. We demonize people we’re at war with. We dehumanize individuals who have hurt or shamed us. I have demonized and I’m ashamed of it. We forget we all breathe the same air. Carl Gustav Jung said, “The real existence of the enemy upon whom one can foist off everything evil is an enormous relief to one’s conscience. You can then say, without hesitation, who the devil is; you are quite certain that the cause of your misfortune is outside, and not in your own attitude… Much could be said about the close proximity of good and evil, and even more about the direct relations between of pairs of opposites…” So those of us who don’t want to do the hard work of positive activism—over and beyond sitting in and marching—just might prefer to find a scapegoat to blame and leave it at that. I like the Occupy movement because I don’t like what has happened to our country, but I think my friend has a point. Demonizing hurts and kills. For example, demonizing is why American soldiers burned Qur’ans in Afghanistan. So I suggest we shift away from negative wording and toward carrying out our demands for positive changes. Non-violently. 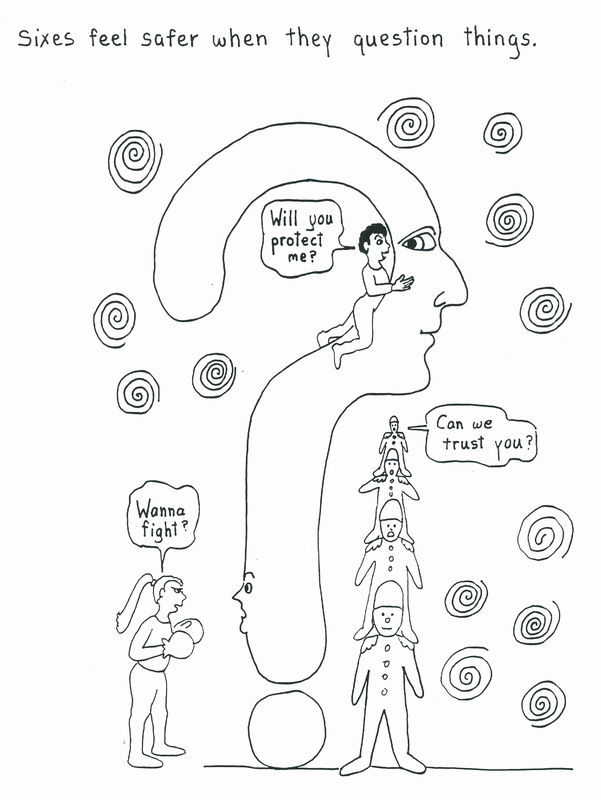 Personality typology explains why we frustrate each other. It’s not always because we don’t think straight or don’t have common sense, it’s often because we’re born with different ways of looking at the world. This produces different values. When we try to walk in others’ shoes (when we learn the Enneagram), our frustration eases and dealing with our family members, students, teachers, or fellow students becomes easier. The Enneagram personality system had been around for about twenty years. At first it was kept a secret. Its leaders thought the world couldn’t handle it. Then the positive ones among them exerted more influence. They wanted to share their newfound prize and tell the world about it. Classes and books about the Enneagram sprang up starting mainly in 1987. 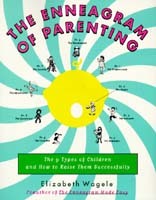 In 1997, I wrote the first book for using the Enneagram with children in families and schools, The Enneagram of Parenting. Each type has a different learning style, for example, and different paces, outlooks on life, and needs to nurture and be nurtured. 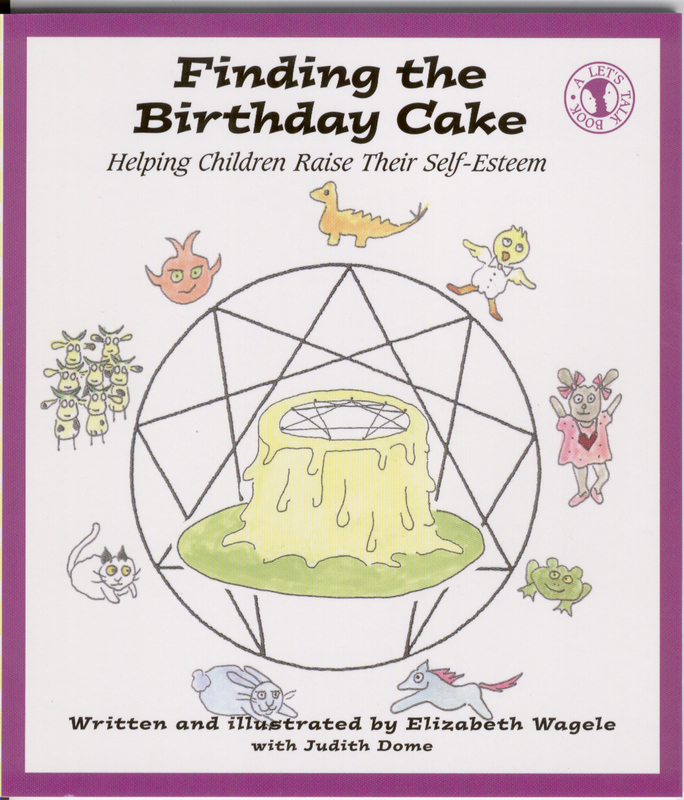 In 2007, I wrote the first book for young children to learn the Enneagram by reading it themselves or having it read to them, Finding the Birthday Cake. Both books are full of cartoons and are easily accessible. See my list of Famous People’s Enneagram and MBTI types. More Famous People are on my Psychology Today blog and my WordPress blog. See my Happy Introvert and Creative Enneagram on You Tube.